“I don’t want pizza tonight.” SAID NO ONE EVER. 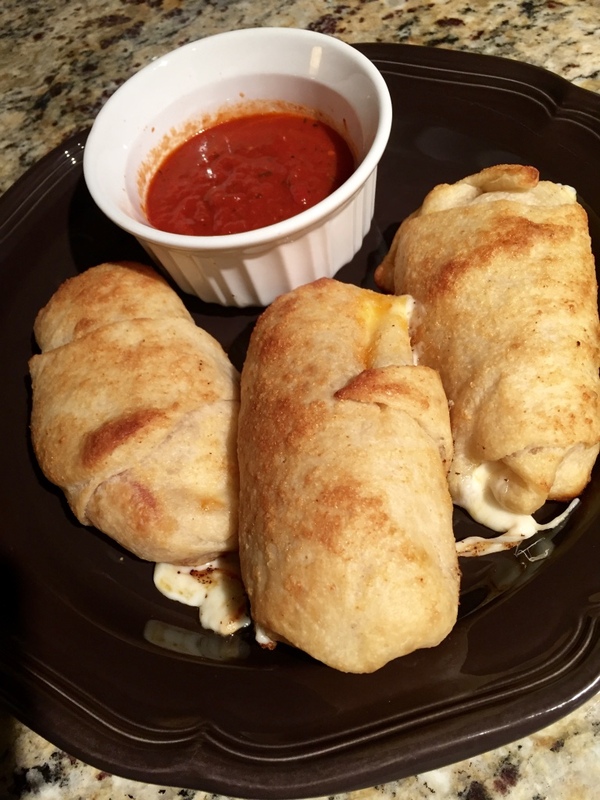 We love pizza over here, and lately, we’ve been enjoying it in the form of homemade pizza rolls! They only require a few ingredients, take less than 30 minutes to make, and taste great! Keep reading for the easy recipe. It’s best to roll out your dough onto some floured wax paper, so it doesn’t stick. 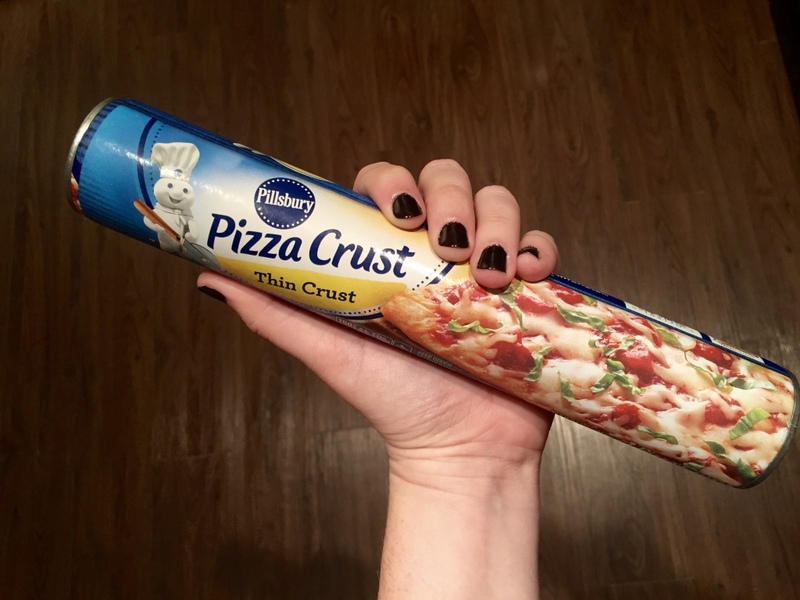 Cut the dough into triangles (I usually get 6 out of one tube.) Fill your triangles with whatever ingredients you’d like, and roll them up! 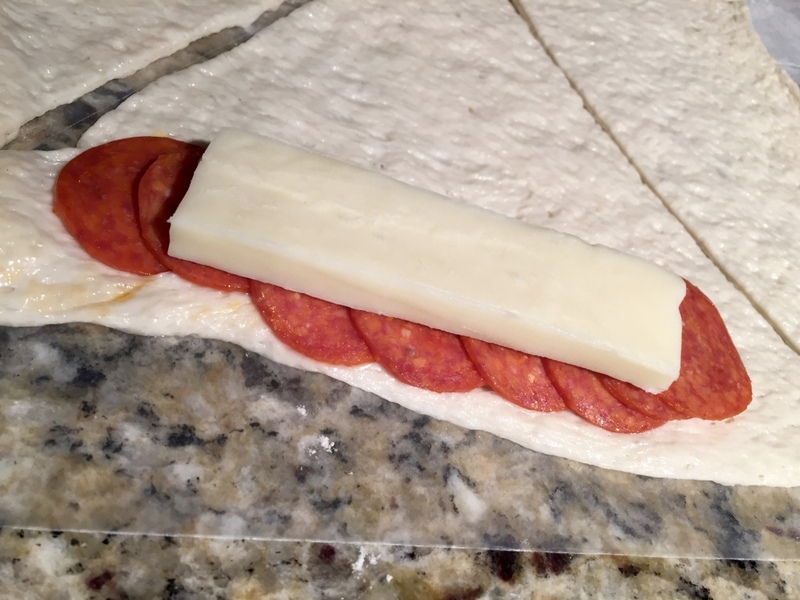 We always just use pepperonis and mozzarella because we’re simple folks. 🙂 You could also throw in Italian seasoning, mushrooms, onions, spinach…whatever you want! 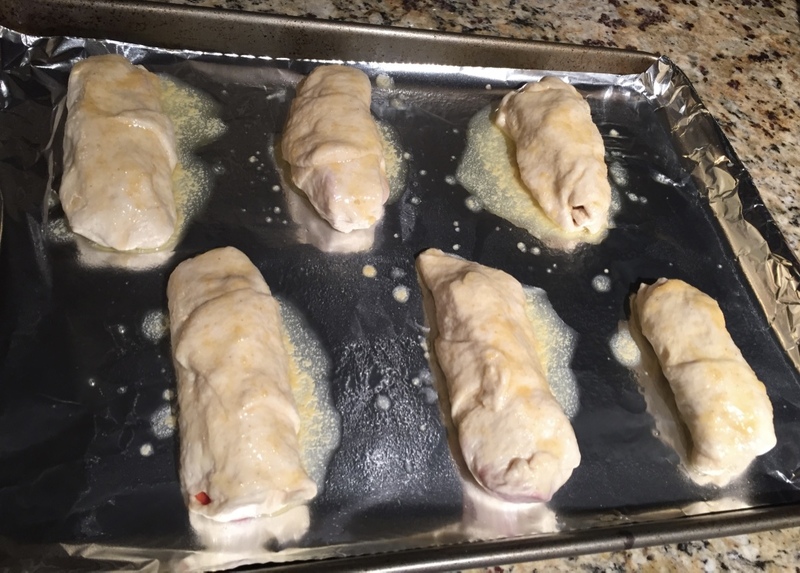 Once you roll up your pizza…uh… rolls, place them on a foil-lined baking sheet with nonstick cooking spray. Finally, brush them with melted garlic butter. Place them in an oven that has been heated to 425 degrees and cook them for 10-15 minutes. Make sure the cheese is melted and the dough is fully cooked to a golden brown. While your pizza rolls are cooking, warm up your favorite pizza sauce in a ramekin. 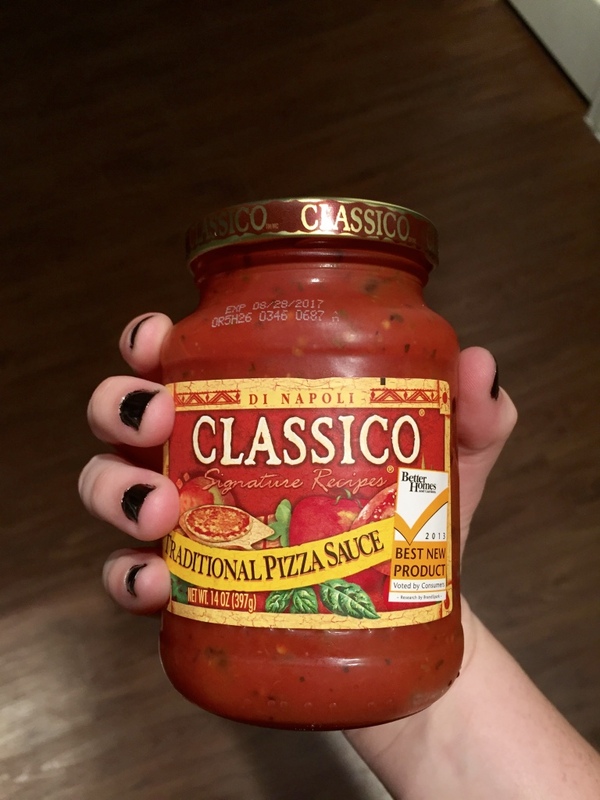 We’ve been enjoying the Classico Traditional Pizza Sauce lately. 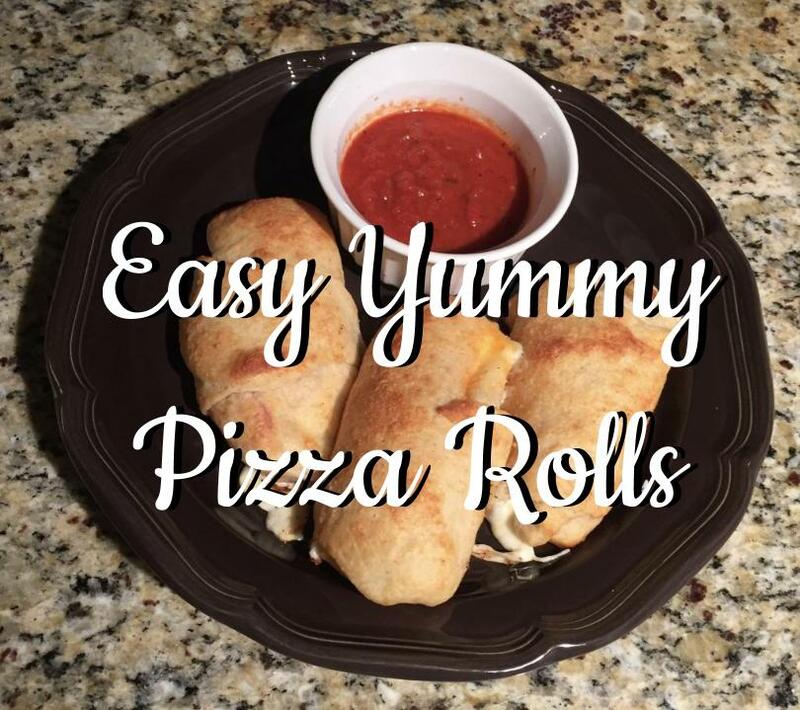 Before you know it, your pizza rolls will be ready for you to enjoy! Dip them into the sauce and dig in. I hope you think they’re as delicious as we do! Let me know if you try any other variations! P.S. If you’re more of a “traditional” pizza person, check out my Homemade Pizza in Less than 1 Hour post! Looks delicious. Double Dave’s has nothing on you. This is such a Fan idea! I’m going to have to try this! I know!! Thanks for helping me create the recipe! Love you!